Hi folks, Carl here from the Casino4U team. Easter is almost here which means after everyone shifting those extra Christmas pounds we can add a few more with chocolate eggs. However, with CasinoLuck’s egg-citing special Easter Promotion 2019, the only thing that might be getting fat is your wallet! Their seasonal promo this year consists of lots of extra bonus spins and even the chance to win an iPad 6th Gen! 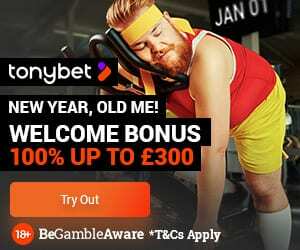 This online casino is already a firm favourite with us. CasinoLuck boasts a huge premium choice of online games and slots and is super-mobile friendly so you can grab your promos on-the-go. 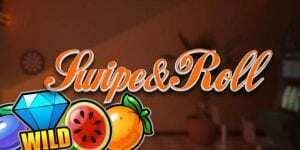 Furthermore, their member support team is superb plus they offer a truly rewarding VIP scheme where players can get higher game limits and free spins and extra bonuses. This Easter the team at CasinoLuck decided they really wanted to pull something out of the Easter bag! They’ve certainly done that. It is now time to hunt for lots of bonus eggs and special chocolate treasure in the brand-new ‘Easter Egg’ promo! The egg hunting will begin on Tuesday, 16th April. 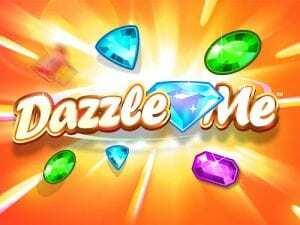 Then players can enjoy FIVE Bonus Spins on the classic NetEnt online slot Dazzle Me. Then, on the following day (Wednesday, 17th April), it’s then another FIVE Bonus Spins on Super Flip slot from Play ‘N Go. Good things do come in threes! As the next day (Thursday, 18 April) players can then get another FIVE Bonus Spins on Swipe and Roll slot! As a really nice Easter surprise, participating players will also receive their extra spins to play on the same slot game that they were awarded their bonus spins on. 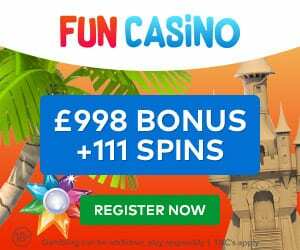 Plus players who deposit £$€50 will be awarded 60 Bonus Spins! But the amazing Easter treats don’t stop there! In addition to these egg-tastic Bonus Spins, CasinoLuck will also be holding a very special draw indeed. They are actually giving players the golden opportunity to win an iPad!! A next-gen iPad 6th Gen to be precise! What a truly egg-ceptional easter prize giveaway! Just think of all the amazing online slots and other special online casino promos you can enjoy with a brand-new iPad. Furthermore, it’s really simple to be in with a chance of winning. If you make a deposit on all three days of the promo (16th-19th April 2019), you will automatically be entered into the Easter prize draw giveaway. The draw will then take place on Friday, April 19. We are so excited to hear who has won the iPad so if you’re the lucky reader we would love to hear about it in our comments section below. To be in with a chance of winning this stunning prize and for further details on this amazing Easter promotion, please head to the casino now. Play safe, and have fun egg hunting! Carl :).